Offering some of the best beaches in the world, Montego Bay, Jamaica also boasts of the some of the friendliest people, thrilling adventures, and picturesque views. The best time to visit, weather-wise, is between mid-November and early December if visitors plan on spending time at the beach, but the good weather can last well into April. The rest of the year can be temperamental and have heavy rainstorms or hurricanes, making it more suitable for visitors who want to visit the many lush rainforests on the island. The island is a great combination of lazy relaxation and thrilling adventure, offering everything from snorkeling and sunbathing at the Aqua Sol Theme Park to trying out the longest zipline in the Caribbean with Zipline Adventures. 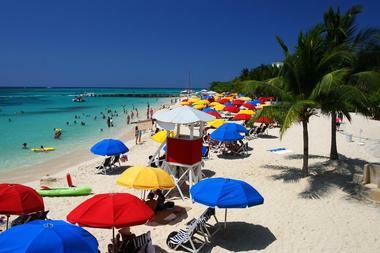 Dead End Beach, also known as Buccaneer Beach, is a beautiful beach accessible to locals and visitors to Montego Bay. 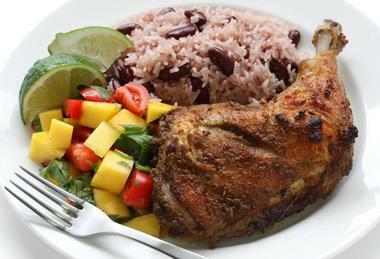 It’s the perfect place to go for an authentic Jamaican beach experience; visitors can also try the delicious local cuisine at the restaurants and bars that dot the shore. One of the best parts about the beach is that it is near Donald Sangster International Airport, which means that it’s easily accessible to those who are there for a short time and those who are there to get some thrilling views of the low-flying aircrafts as they bathe in the refreshing water. Close to downtown Montego, Fort Montego is the remnants of an old British fort that was built in the 18th century to keep Montego Bay free from pirates as well as defend against attacks from the Spanish and French. 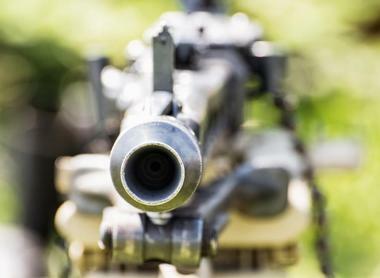 Now, visitors can head to the historic area and explore the remains of the fort, including the artillery store and the three cannons, which are famed for having only been fired twice in their entire existence. 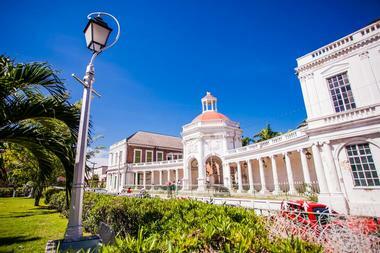 Located on the “Hip Strip” of Gloucester Avenue, visitors really get a feel for Jamaica’s culture and history at the fort and the surrounding sites and attractions. Greenwood Great House was built in the 1780s and was the residence of Richard Barrett, a wealthy Englishman who came from a family of politics, plantations, and poetry. The stunning 15-room estate was built in Georgian style and can be found on the 82,992-acre land almost in its original form, with little to no renovations and decor changes made over the years. Visitors will be able to see the original library of the Barrett family, which is filled with books, paintings, intricate china, antique furniture, and rare musical instruments that dates to the 1600s. The beautiful and historic aspects of the well-preserved attraction have made it a favorite with tourists over the years. 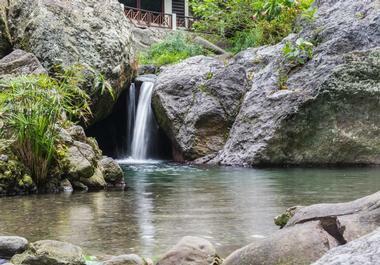 The Animal Farm and Nature Reserve is one of Montego Bay’s most visited attractions. Visitors can schedule a tour of the grounds or explore it themselves. There is a wide range of exotic animals and birds at the farm and one of the best aspects of the site is being able to hand-feed birds in the walk-in aviary. Visitors will also be able to learn about the alternative energy projects that take place in the farm; there are many solar initiatives as well as bio-gas generating plants there. The beautiful gardens are a lovely place to spend the day and are ideal for an on-site picnic; there are even outdoor cooking facilities for visitors to use while there. Visitors who are looking for some major fun in the sun while at Montego Bay can head straight to the Aqua Sol Theme Park. The beachside park is filled with activities that visitors can take part in, including snorkeling on the nearby reef, taking scuba diving lessons or going on a guided dive, and enjoying a pedal boat or a glass-bottom boat ride. The theme park has water trampolines, jet skis, banana boat rides, kayaks, and wave runners as well. In addition to all the fun water activities, the theme park also has a go-kart racing track and organizes beach volleyball, table tennis, and other games for visitors to enjoy. 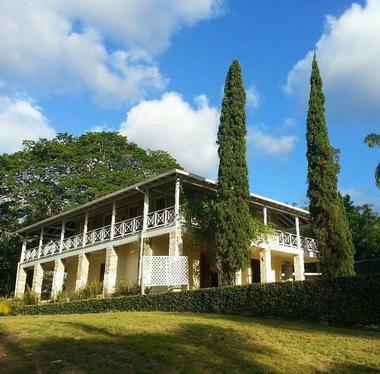 Open Monday to Friday from 9:00am to 5:00pm, the Barnett Estate Plantation lets visitors explore one of the oldest sugar plantations in Jamaica. The plantation sits on over 10 acres of land and has been a part of the family-owned company for over eleven generations. 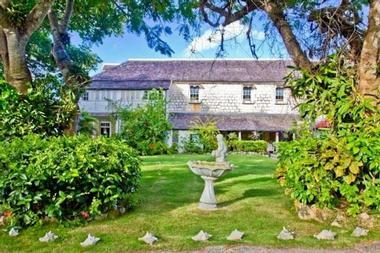 Visitors can tour the lush tropical estate on their own or go on a guided tour to browse and better understand the history of the plantation and the family who ran it. There are many historical artifacts in the Great House that display the historical value of this beautiful estate. The Braco Stable Horseback Ride n’ Swim company gives visitors a chance to really experience the natural beauty of Montego Bay. 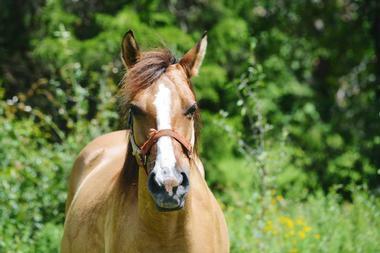 Visitors can go on a 2-hour guided ride on one of the many beautiful horses from their stable. The ride takes visitors through the scenic countryside and ends along the shore of a stunning white sand beach; here, visitors will be able to ride the horse directly into the sea or go for a swim before heading back to the Great House poolside for refreshments. The guided horse riding tours are only available twice a day, so it’s best to schedule in advance; the stables are open every day from 8:30am to 4:30pm. Considered Montego Bay’s number one watersports and dive center, Captain’s Watersports is where visitors should head if they’re looking for an adventurous day under the sun. Whether traveling alone, with a family, or with a large group, Captain’s will ensure that everyone, no matter their age, will have a good time. 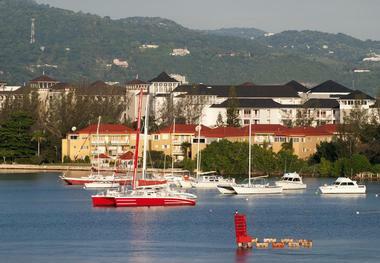 Almost every watersport imaginable is available at Captain’s, but some of the most popular include parasailing over breathtaking views of Montego Bay, getting an adrenaline rush with wakeboarding, trying water skiing for the very first time, or just catching some rays while tubing across the ocean. Comprising the best of what Jamaica has to offer, Chukka Caribbean Adventures is guaranteed to be fun for the entire family. It’s an experience like no other, as visitors zipline through the lush rainforest, go horseback riding by the ocean, or explore the countryside on an ATV. Visitors can pick and choose activities based on how adventurous they want to get; Chukka will even put together excursions to nearby waterfalls, schedule catamaran cruises, or take visitors tubing on the nearby river. A unique experience that not many offer is bamboo rafting, where visitors get to go on a ride on the Great River on a 30-foot raft made of bamboo. 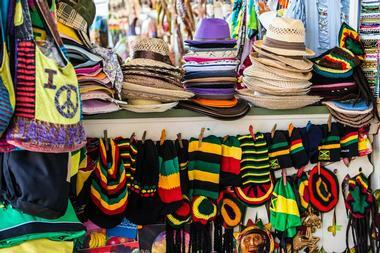 Montego Bay’s Crafts Market is a combination of colors, sounds, and smells that truly encompass a Jamaican holiday. All the island souvenirs that visitors crave, such as musical instruments, beads, straw hats, t-shirts, and other novelties, can be found at the market. The authentic Jamaican craft items are usually handmade from straw, wood, or leather and allow visitors to take a bit of Jamaica back home with them. Even those who aren’t looking to purchase anything will love the sights and sounds of the local vendors exhibiting their skills at weaving, carving, and so much more. Found in rural Jamaica, Croydon in the Mountain is a coffee, pineapple, and citrus plantation that really captures the spirit of Jamaica. 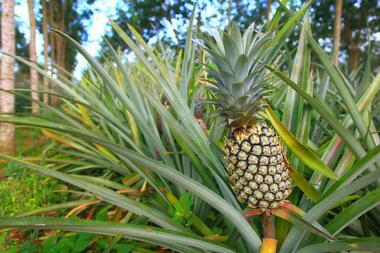 Visitors head to the foothills of the Catadupa Mountains to explore the tropical paradise and taste the sweet exotic fruits farmed there. The panoramic views of the surrounding countryside are just the cherry on the top; the breathtaking scenes will be the backdrop to many vacation photos. Guided tours will give visitors insider information on the secrets of cultivating and processing coffee. 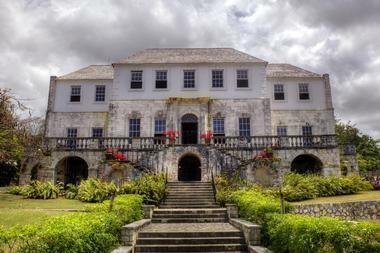 Visitors can also learn about the plantation’s rich history, including being the birthplace of one of Jamaica’s national heroes, Samuel Sharpe. A part of the Aqua Sol Theme Park, Dive for Fun is one of the most fun and friendly watersport facilities in Montego Bay. 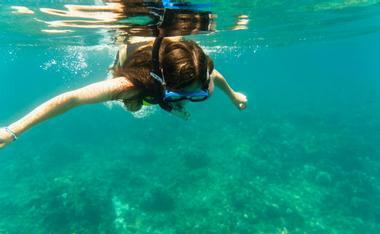 Visitors can choose to snorkel, scuba dive, go fishing, or go on a sightseeing boat tour and unwind. There are many dive sites with amazing coral reef surrounding the Jamaican island, and Dive for Fun wants visitors to view the best of them. 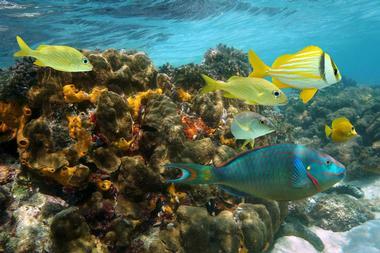 Visitors will come in contact with over 500 species of fish and other animals in the water. The fishing tours are extremely fun, and visitors can fish for trout, tuna, or sailfish in the nearby waters. Located right in the middle of Montego Bay’s “Hip Strip” on Gloucester Avenue, the Doctor’s Cave Bathing Club started in 1906 when Dr. McCatty donated his private beach to start a bathing club. The crystal-clear waters and warm temperatures throughout the year attracted visitors from all over, but it wasn’t until Sir Herbert Barker published an article on the water’s restorative healing powers that the beach rose to fame with foreigners coming from all over the world. 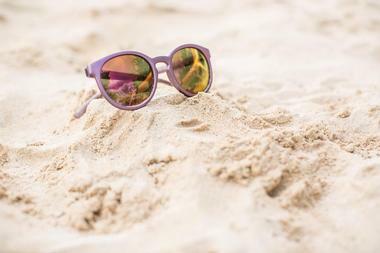 Today, visitors head to the beach for a great day among golden sands, azure waters, and stunning coral reefs. The club’s facilities include bathrooms, rental beach chairs and umbrellas, and a variety of restaurants, bars, and hotels surrounding the area. The Half Moon Equestrian Centre is located on the premises of the luxurious Half Moon Resort in Montego Bay, Jamaica. For over 30 years, the center has provided exceptional care to injured and abandoned horses, cats, and dogs. Visitors can interact with the amazing animals or enjoy various equestrian activities such as horse riding, jumping, or taking polo lessons. 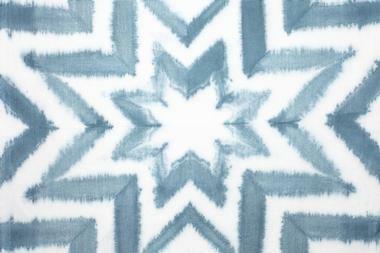 The stable can accommodate accordingly, no matter if the visitors are experienced or beginner. 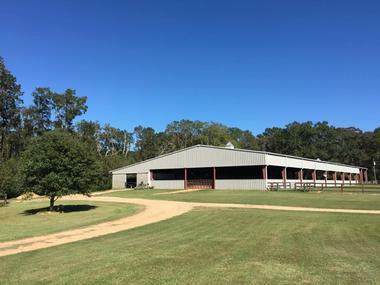 Other aspects of the center include a beach experience, a sand stroll, and private lessons that can teach basic dressage, riding, and much more. Montego Bay is a buzzing tourist destination with so much to see and do, and that alone can be overwhelming to maneuver through based on what visitors like. 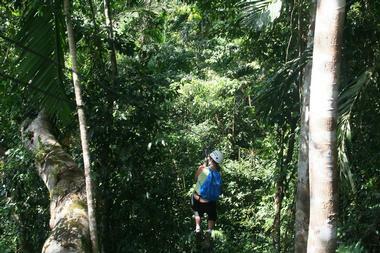 Island Routes Adventure Tours takes away all the complications from truly enjoying a Jamaica vacation. Tours can be tailor-made based on a person's or group’s interests, or visitors can choose from one of the many pre-made tours available. 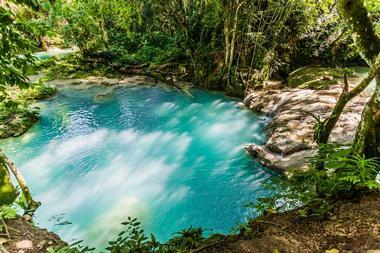 Some of the most popular include the Reading Road Trip, which lets visitors engage with children at local schools, the Bamboo River Rafting and Jamaica Swamp Safari Combo, the 4x4 Off-Road Safari, and the Jamaica Sky Explorer and Dunn’s River Falls Combo, which lets visitors zipline through the treetops. Offering affordable tour and transportation services in Montego Bay, Jamaica Shore Expeditions boasts some of the best experiences in the area. Whether it’s private or group airport transfers, Jamaica Shore has visitors covered. Once visitors are in Montego Bay, they can trust Jamaica Shore Expeditions to plan the perfect trip without having to worry about transportation, safety, English-speaking drivers, and even Wi-Fi since it’s free in all their onboard vehicles. The tours and excursions offered go beyond Montego Bay into Falmouth, Negril, Ocho Rios, and many other places; some of the most popular tours offered are the Black River Safari, the Camel Trekking Safari, and the Dune Buggy Wet N’ Wild Adventure Tour. Having been awarded a Certificate of Excellence by TripAdvisor, Liberty Tours Jamaica offers visitors the chance to explore the magical land like never before. Offering everything from airport transfers to cruise ship excursions, Liberty also has tours in Falmouth, Ocho Rios, Montego Bay and various other parts of the island. 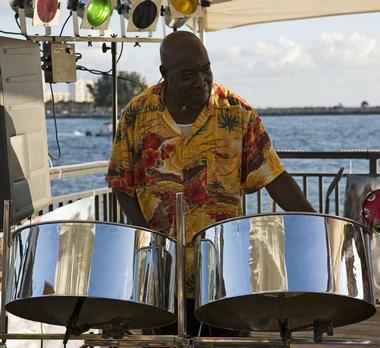 The tours can be tailored to a visitor’s preferences, and many of the experiences offered such as “Jamaican Fun After Sunset” are out of the norm and not offered by other tour companies. Some of the most popular Montego Bay tours include the Irie Blue Hole, which takes visitors on a journey to one of the hidden gems in Jamaica, and the Zipline Adventure Tour, where visitors can sail over the lush land below them. 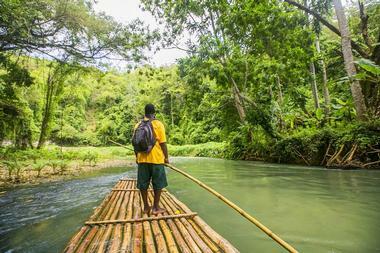 The Martha Brae River is the number one location for rafting and other fun water activities while in Jamaica. Visitors start out their day at Rafter’s Village, a stunning natural horseshoe-shaped island fitted with manicured lawns and panoramic views. At the facility there are picnic grounds, a swimming pool, souvenir shops, bars, restrooms, and the famous Miss Martha’s Herb Garden, which is known for providing natural herbs with healing properties. Visitors can then head to the disembarkation area called Martha’s Rest and start their journey on a 30-foot bamboo raft that glides on a 3-mile stretch over the Martha Brae River. The best way to really get to know a country is through the locals, and that is just the opportunity that Real Tours Jamaica offers visitors from around the world. One of the best tours offered is to Chuck Norris Secret Falls, where visitors go to a hidden location cloaked by the rainforest and towering mountains to swim and enjoy the refreshing and picturesque waterholes. For a more “fun in the sun” type of day, visitors can book the Negril Beach and Rick’s Cafe Tour, which is a day spent at Margaritaville with an endless stretch of white sand beaches, watersports, and much more. Reggae Tours offers various island tours with hotel pickup and drop-off included as well as safe and timely private airport transportation for groups of all sizes. Priding themselves on paying attention to detail, Reggae Tours has extensive knowledge of the land and uses that to put together the most memorable tour for visitors based on what they like. Some of the fun activities in their excursions are shopping at the Montego Bay Cruise Ship Port, visiting the Appleton Estate for a rum tour, going on the cliffside experience at Negril Beach, and experiencing a tropical underwater world at Montego Bay Marine Park. Environmentalist Lisa Salmon purchased the Rocklands property in 1954 to spend her time painting, writing, and feeding the birds that would visit her. Soon, the house started attracting a variety of birds and Lisa, or “the bird lady” as she was lovingly known, opened the doors to her Rocklands home to the public in 1962. Though Lisa passed away in 2000, the Rocklands Bird Feeding Station is her legacy and continues to attract and feed over 200 species of birds. Visitors can hang out on the patio, where hummingbirds perch on your finger to drink nectar from a bird feeder. 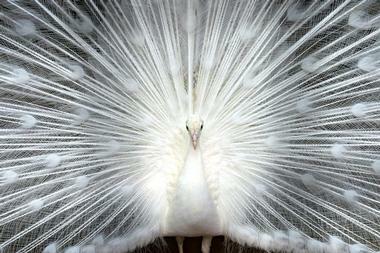 Visitors will be amazed as the birds of varying color and size fly around them in a beautiful haze. 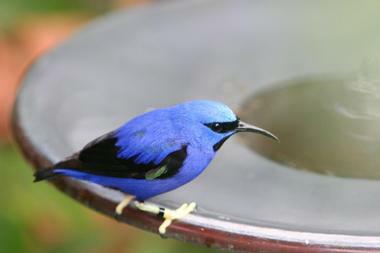 Some of the birds there include the Jamaican mango, the white-chinned thrush, and various species of hummingbirds. Surrounded by warm golden beaches, lush green hillsides, and sparkling azure seas, Rose Hall captures everything that is magical about Jamaica. Visitors can play a round of golf on one of two championship golf courses or tour the beautifully restored plantation Great House; those who are planning a destination wedding can choose no better place than Rose Hall. The spine chilling Rose Hall Haunted House tour is a spooky and fun opportunity to meet the “White Witch of Rose Hall” while exploring the 18th century plantation house. There are also many secret waterfalls and historic ruins surrounding Rose Hall for visitors to spend the day and explore. Zipline Adventures has been voted the #1 attraction in Jamaica by TripAdvisor and rightly so because the company offers so much more than ziplining. 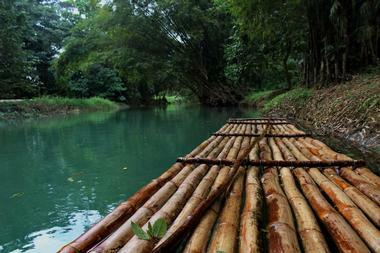 Visitors can go tubing or kayaking, or try a peaceful bamboo rafting trip down the river. Even so, the zipline tour is one of the most popular and most exciting adventures offered and starts with a guided 6x6 off-road safari tour through mountainous forests and lush plantations. One of the ziplines, known as Big Timba, is the longest single zipline in the Caribbean and takes visitors on an unforgettable 1,600-foot-long ride through the tree canopy.